Your place to get the best movie reviews, know what's going on in the music industry and which Netflix shows you might dive into. 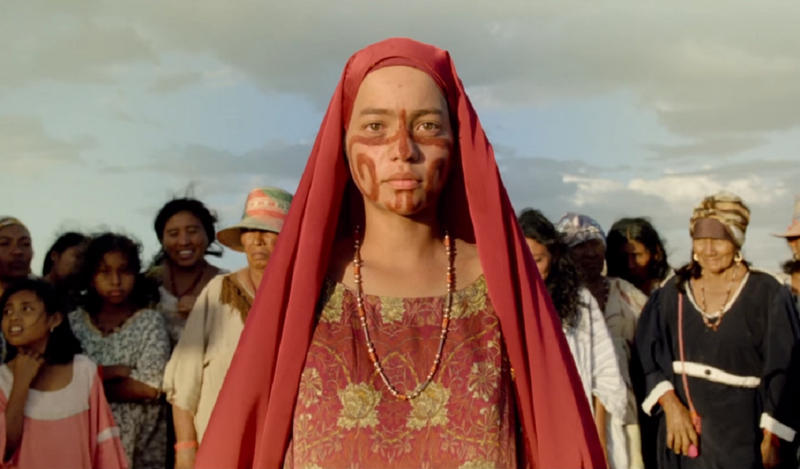 Ciro Guerra’s impeccable visual artistry is the strongest feature of “Birds Of Passage”, but the rest quickly consumes its entire fuel reserves. Although “Birds Of Passage” is a conjoint effort from Cristina Gallego and Ciro Guerra (a couple in real life), the latter name echoes much stronger in the film. Just like “The Embrace Of Serpent”, it is a stoic, raw look at the Colombian history. 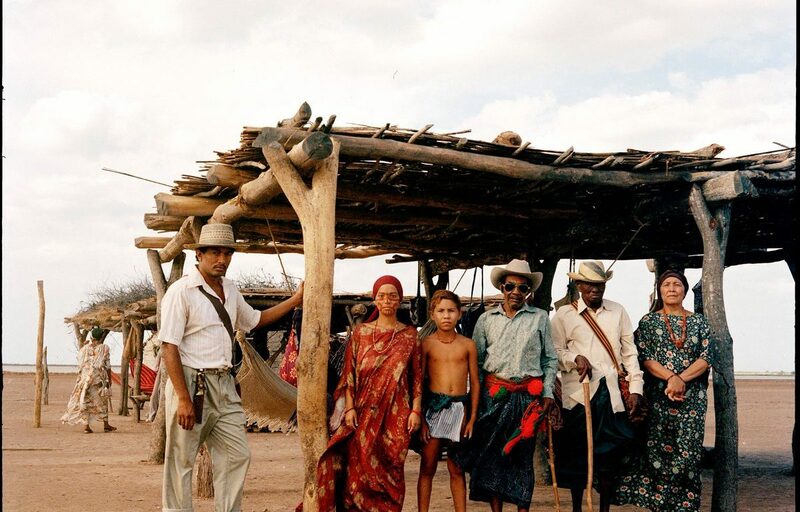 The film follows Rapayet, a young man who belongs to the Wayuu tribe. He arrives to a small village to offer his dowry for beautiful Zaida. When sitting in a small bar, Rapayet hears about the Americans looking for weed. He travels to his cousin Anibal, who helps him collect the dowry, but also produces marijuana. It’s the beginning of the trade, which soon brings a tragedy to the people of Wayuu. A vast part of the modern Colombian culture is inadvertently associated with the narcobusiness. Most of the films, that touch on this topic, turn into boilerplates. Even the Netflix’s hit “Narcos” suffers at times from a tediously moralising narrative. “Birds Of Passage” begins on a different note though. Right after a vivid traditional dance of Rapayet and Zaida, we are brought to the panoramic views of desserts and donkeys loaded with freshly dried weed. All of that is nuanced by an inspiring sound design and the witty camera work. A dichotomy in this visual narrative is what really charms in the first half of the film. It’s more of a documentary than a scripted story. What is also explored in the first half is the tribalism of Wayuu clashing with the world changing as we speak. The Wayuus, as the native Colombians, refuse to catch up with the world’s way of living. They remain ardent advocates of the tradition over development. They might be driving cars, using cellphones etc., but the respect for tradition remains sacred. Guerra knows the drill here – he has established himself as a prolific observer of the Colombian distress, tragic history and, most importantly, the colourful roots of their heritage. However, the well eventually dries out. After awhile, these stunning frames become familiar, while the initially intriguing mood is stained with blood. Even if the film consequently remains focused on the very broad drug trade issue, it narrows its scope to a few locations only. As the time passes by, “Birds Of Passage” becomes a stifling experience, far away from what it initially promises. Once Guerra and Gallego establish this asphyxiating framework, “Birds Of Passage” turns into a violence-driven spectacle, a game of sending messengers and spraying bullets. While it is the reality we have been witnessing for a long time now (since movies like “Traffic” to “Sicario”), it doesn’t feel right to jump so abruptly into it. The internecine war between Anibal and Rapayet’s family is put forward almost in disregard to the ascetic first half of the film. “Birds Of Passage” has its brilliant moments, when it sheds a one-of-a-kind cinematic magic. Its uncanny execution is wasted on a script though, which utilises too much violence over symbolism. It is not a fallible film entirely – just the one that delivers less than it could have. Enter your e-mail and be up to date with news from our blog. Cultural Hater - Quality Hating Since 2018. Your place to get the best movie reviews, music news and articles about your favorite TV shows. Subscribe to my newsletter and stay tuned for more cool stuff!